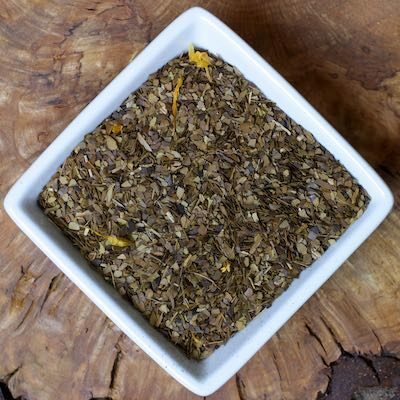 Here is a version of the South American Yerba Mate that can entice just about everyone. It is toasty and chocolaty with an underlying coffee taste and mmmmm…. If you can’t have coffee and still want the caffeine–this one might be for you. This tea does contain caffeine.